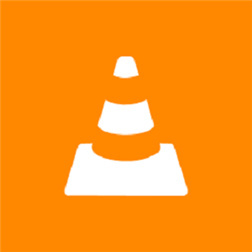 After months of limited alphas, Videolan's VLC media player is now available in the Windows Phone Store as a more complete beta. The app is notable for its widespread compatibility for video and audio formats and it also brings native MKV support. Reads the company's quick blurb: "VLC media player is a portable, free and open-source, cross-platform media player and streaming media server written by the VideoLAN project. VLC media player supports most audio and video compression formats, files and streaming protocols." VLC is the most popular media player for PC among the tech crowd, and has been popular for mobile devices, as well, despite issues getting into the iOS App Store. Big deal and when Microsoft learns it plays all formats including those for pirated movies they will remove it just like everyone else does. I wish them luck because i am still waiting for these slackers to finish the vlc media player for the ouya of which they abandoned and left in beta with major bugs.